Probably the WordPress is one of the most used CMS and blogging platform on the web and also it’s probably the most criticized one in the PHP community as well, because the way it works but not sure about that so pardon me if I’m wrong. Anyways, so whatever it’s but it has dominated the web for a long period of time and like this one, no other CMS or application (or whatever you call it) could made so far. It’s still very active and serving pretty well. Although it was built as blogging platform but by the time and effort of the developer community it become one of the major CMS and it’s been used for not not only as a blogging tool or CMS but also it’s been used to build complex e-commerce sites and other complex web applications. One of the biggest advantages is that, it’s plug-n-play, I mean, for every single need there is a plugin available and even non-programmers (advanced uses) can easily install it and can run the system for their online shipping sites with a very less effort because plenty of themes and plugins are just only one click a way. If you know how to search and where to search for a theme or plugin then you can start an online shopping site without writing any code. But, time has been changed and our expectations are being higher. Now, it’s time for modern programming techniques and tools like composer, bower, behat, codeception and so many cool things that become one of the part of our daily development process and we can’t think anything without OOP. In this case, WordPress doesn’t meet the needs. Well, probably it does but we just think it like this, such as it’s all about messy templating with a mash up of HTML and PHP code, which sounds a boring task but probably there are better ways to use WordPress using modern programming tools and techniques. Well, actually we can write clean code with WordPress using modern testing tools like behat and dependency manager like composer and we may integrate templating engines like twig and blade as well to write clean code for building a WordPress theme. There is already a plugin (could be more) called timber which helps to build a template using twig templating engine which cleans-up your theme code so your PHP file can focus on supplying the data and logic, while your twig file can focus completely on the presentation. You may read more about timber. Also there is a nice framework (I was not aware of this before) called Themosis which uses MVC pattern and expressive syntax like famous framework Laravel and also uses the blade templating engine of Laravel. It has a very elegant routing system and it uses composer to build a modern WordPress stack by default. So check it if didn’t yet. probably there are other beautiful stuffs out there but anyways. These are extra dependencies for WordPress but even without using these tools we are able to write clean OOP code in WordPress to build plugins and themes. Anyways, one of the most amazing things that really a cool addition into the WordPress is it’s Command Line Tool which is not very new but not even very old and it’s WP-Cli. If everything want right then WordPress will be installed within a few seconds. That’s it, without using the mouse, just from command line the WordPress has been installed very easily. Well, that’s not all but now we’ll see some more examples that we can run from command prompt using WP-Cli but there are many commands and I won’t cover all so visit the WP-Cli website to check fill list of commands. 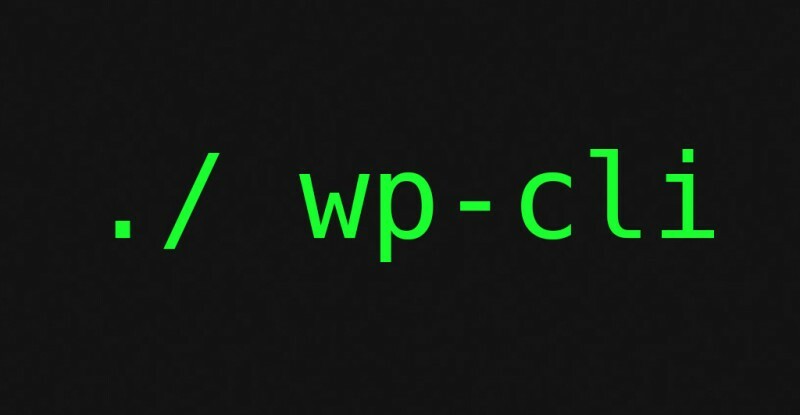 WP-CLI has a series of global parameters which work with all commands. They can be specified either as flags for the wp executable in the terminal, or defined in a YAML config file. # Create a Post but use content from post-content.txt file in current directory > wp post create ./post-content.txt --post_category=1 --post_title="A Post from file"
> wp post create ./post-content.txt --post_category=1 --post_title="A Post from file"
Check wp post command for more sub-commands such as wp post list to view a list of your posts or wp post delete for deleting a post and many more. 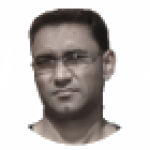 # Auto generate a code snippet for custom taxonomy but save the code in a file, in twentytwelve theme folder > wp scaffold taxonomy venue --post_types=event,presentation --theme="twentytwelve"
> wp scaffold taxonomy venue --post_types=event,presentation --theme="twentytwelve"
All you need to do is that, just include the file in your functions.php file and the code will run and a custom taxonomy will be created (edit the code if needed then save). Check the wp scaffold command for more sub-commands, you may generate code snippet for Child Theme, Plugin and Post Types and many others. There are some other commands are available as well and those are also very useful, so check the website for full list of commands. Also, there are a bunch of community commands are available as external commands, which means anyone can create custom commands and for to learn more about creating a custom command check Commands Cookbook and also check this Contributor guide if you want to contribute. So far, it’s good enough and currently another version is under development and in that version the Boris will be added for interactive PHP console as wp shell command. Well, it’s all for this article. To be honest, this is really a great addition to WordPress and hope the WordPress community will keep it (WordPress) alive and take it to the next level which will bring back the joy of coding.